You’ve got your yoga studio schedule memorized. Relaxation-inducing essential oils line your cupboard. Your online music selection features a litany of soothing instrumentals, you could keep an elevator filled with harp music for weeks. You know, and regularly dole out, various deep-breathing techniques (“sniff a flower, blow out a candle”). And . . . still. Somehow, as self-care savvy as you are, the ugly effects of stress still seem to worm their unwelcome way into your daily life. Whether it’s snapping at your bank teller, stress-eating your way through the entire two months of Girl Scout Cookie season, or simply lying awake at night when every anxious thought has a way of ballooning to near swollen hysteria, stress takes a toll. If you find yourself feeling the stress vibe, you’re in good, albeit frazzled, company. 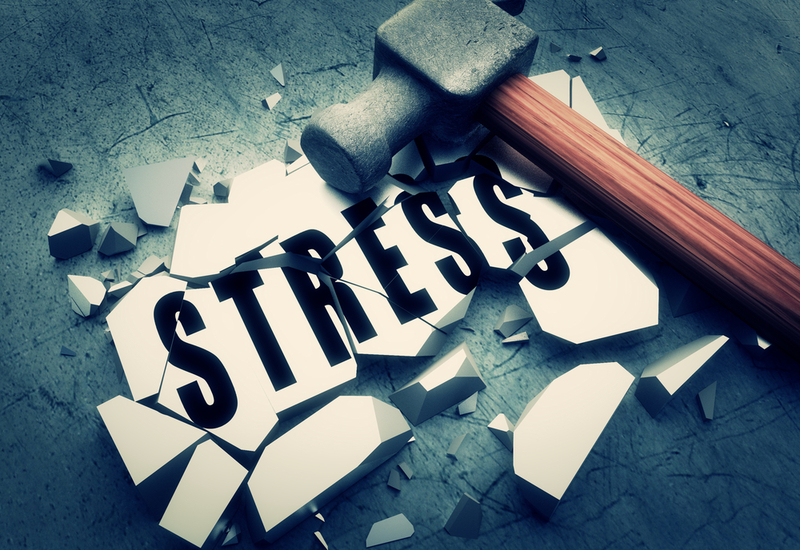 The Huffington Post in 2014 estimated that a little over 1 in 4 of the 2,500 participants surveyed had experienced a “great deal” of stress in the past month. And statisticbrain.com reports that 77% of us “regularly experience physical symptoms caused by stress.” Given that April is National Stress Awareness Month, we thought we’d offer a fresh look at stress, and some tips to combat its ugliness. While learning how to head off tension before it gets too far is a valuable technique, sneaky stress still has a way of getting to us – our quality of sleep, our shoulder and back muscles, our blood pressure, our digestive system and our mood can all take a beating when we feel worried or overwhelmed. Luckily, our body is remarkable at repairing itself; this repair is greatly aided and accelerated by massage therapy. Massage is a well-documented tool in reducing so many of stress’ side effects. During a massage, what you feel is your therapist working to smooth out knots and kinks. What you won’t tangibly feel is your circulation and immunity improving, your blood pressure lowering, your mood rising and your cortisol being lowered. Until we all become masters at obliterating stress before it can take root, or learn to simply not worry about things, it’s nice to know that we have a worthy stress-opponent in our arsenal. Learning to not rely on other, less healthy ways for dealing with stress is difficult, but is an endeavor that’s worth your time and effort. Plus, we’re thinking you could use an extra excuse to put down that package of Thin Mints.